The area and focus of sustainability entered into the fray like a lamb but is now the lion of most corporations. It is embedded and engrained as part of doing business and it doesn’t look like this is a trend, but a long term fact. There are some companies that have gone above and beyond the call of duty and they are now the benchmarks for other corporations to emulate in the area of sustainability. Statoil, the Norwegian energy company has remained the ‘top dog’ of sustainability for a number of years running. Other companies that have remained on the top of the list include: Johnson & Johnson (US based packaged goods and pharmaceutical company) as well as Novozymes, the Danish bio-industrial company. Nokia, the mobile company in Finland, has managed to maintain its fourth place and has set standards for the telecommunications industry. Other companies within the top ten include: Umicore, the Belgian materials and technology group; Intel, the well-known U.S. technology company; Astrazeneca, the United Kingdom based pharmaceutical company; Credit Agricole, the banking group in France, Storebrand, the financial services corporation based in Norway and Denmark’s Danske Bank. There have been a lot of other companies that have shifted positions, many of them lowering their ranks on the top one hundred. 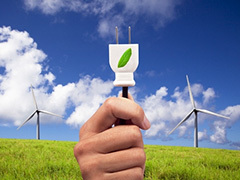 One of the previous giants of sustainability was General Electric. G.E. fell to the eleventh spot this year. Tata Steel in India dropped to 27th position; U.S. based Johnson Controls to number twenty nine and Japan’s Sony was immediately behind. Other companies that have experienced a change in positioning include Proctor & Gamble and Kraft Foods in the U.S., as well as Tokyo Gas Company; with Stora Enso, a Finnish pulp and paper company also trailing in the ranks. An interesting note is that of the top ten companies on the sustainability chart, eight are European. This may be due to the increased regulations within the European arena, but also may reflect the fact that the U.S. is not including sustainability as a priority incentive for the U.S. based companies. Compiling the list of those corporations that qualify as well as the methods used are an intricate process and involves outside companies without vested interests in any of the company names submitted. The criteria is evaluated long and hard and, it might seem rather strange that an oil and gas company would be included in the top ranking numbers, but they have proven a high level of waste management with a lot of investment in renewable energy dollars. Each year, the list of success stories will change, new companies will enter the fray and others will drop in their ranking. While the goal is a friendly competition, the real winner in all of this is the only home we have ever known: earth. As a species we have to clean up the mess we have made and give all life on the planet a chance to thrive. It appears the message has been heard loud and clear.